SQL Server restore database tool also comes with a free trial version that allows you to preview MDF, NDF, BAK and LDF file. But if you want to save these repaired files, then you have to purchase the licensed version of the toolkit. SQL Server database restore utility is a complete solution which helps you to restore SQL 2016, 2014, 2012, 2008 R2, 2008, 2005 and 2000 database. The toolkit helps you to recover corrupt primary database file (MDF) and secondary database file (NDF). It can analyze SQL log file (LDF) in order to check all the transactions (insert, update, delete) performed on a database and also reset SQL password. This advanced toolkit gives you the option to recover corrupt MDF and NDF file with all integrated components like tables, stored procedure, functions, triggers, indexes, rules, keys etc. SQL database manager tool quickly scans LDF file and analyze/read all SQL log file transactions like insert, delete, update with complete log activity (transaction name, table name, transaction time, query etc.). Toolkit allows users to reset both SA and Users database password of multiple users present in master.mdf file. It can reset password of any length and any type (numeric, alphanumeric, special characters). 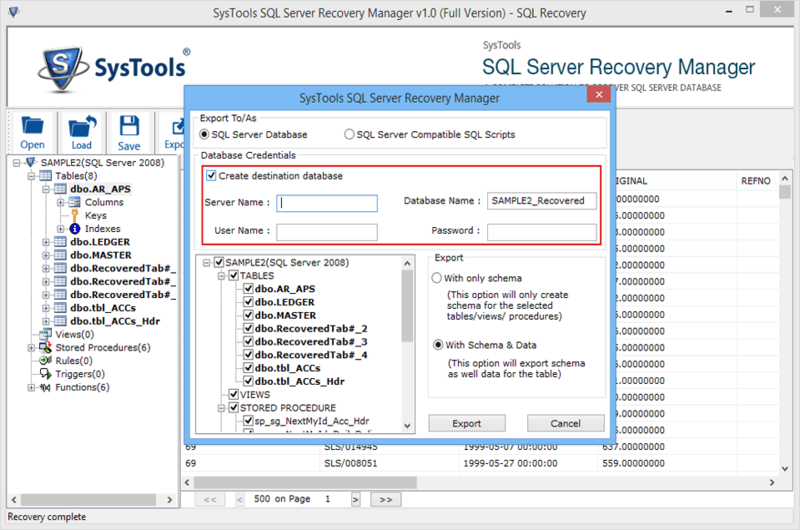 With the help of SQL Server restore manager users can remove the encryption from SQL database. The toolkit also shows you the complete preview of decrypted database before exportation. The utility allows you to repair corrupt SQL database backup file (BAK). The toolkit can repair a SQL backup file of any size and maintain the integrity of data with constraints. With the help of this advanced SQL database management tool, you can see all the components of corrupt or healthy master database file like tables, views, stored procedure, functions etc. without SQL environment. Toolkit support SQL Server 2016, 2014, 2012, 2008R2, 2008, 2005, 2000 and compatible with all the edition of Windows Operating System including Win-8, 7, XP and below versions. Can I analyze the LDF file for forensic purpose with this toolkit? 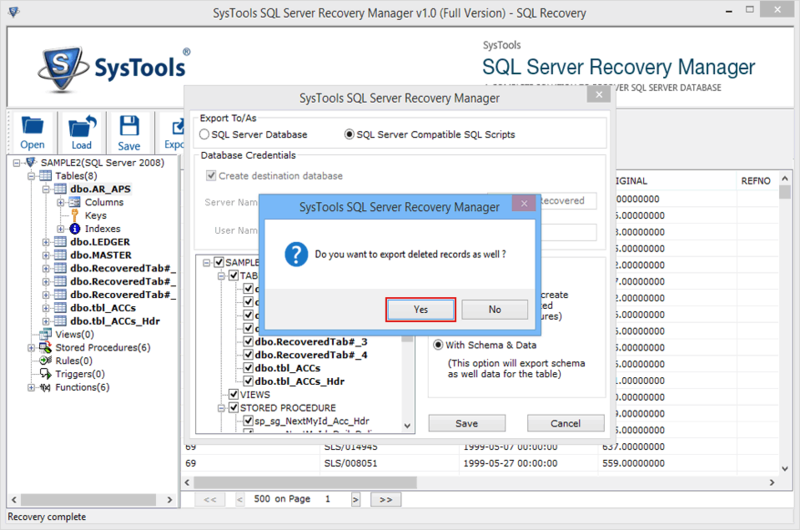 Yes, with the help of this advanced SQL Server database restore manager, you can analyze the SQL log file which can be helpful for forensic purpose. 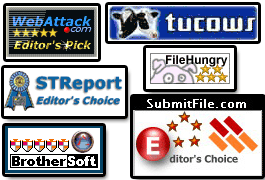 Does this toolkit perform master database recovery? 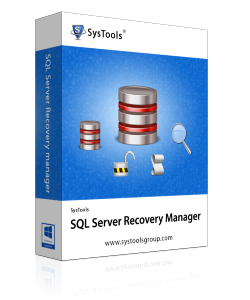 Yes, SQL Server recovery manager is well capable to repair damaged master database as well as user database file. My MS SQL backup file is corrupt. Can I restore its database? With the help of this toolkit, you can repair corrupt SQL backup file and restore its database. Can I recover the password of SQL Server 2014 that I have lost? Using SQL Server database restore utility, you can reset password of any SQL version. 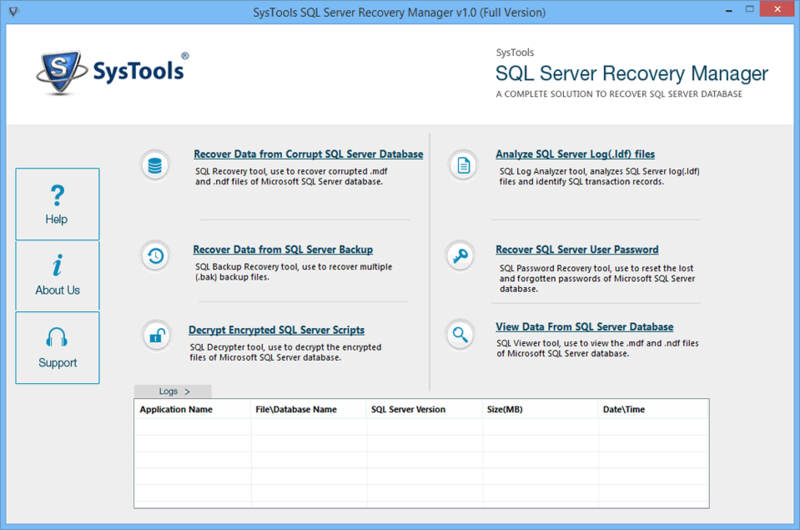 I feel very satisfied after using the SQL Server recovery manager toolkit. The toolkit easily recovers SQL MDF, LDF, BAK file and is also capable to remove encryption from SQL database. 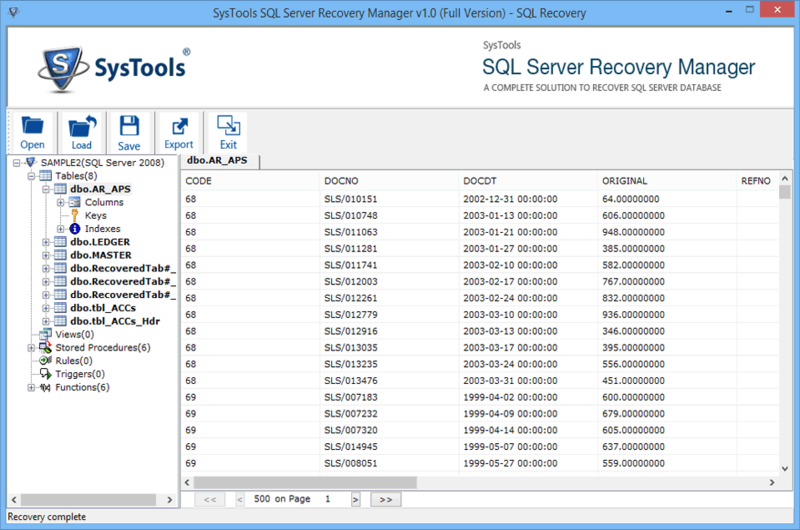 SQL Server restore database tool is an excellent utility that helps me to fix all MS SQL database related issues.